There are many different phases of a divorce, and one of the most important ones for the divorcing couple to be aware of is the way the marriage’s assets are going to be divided. 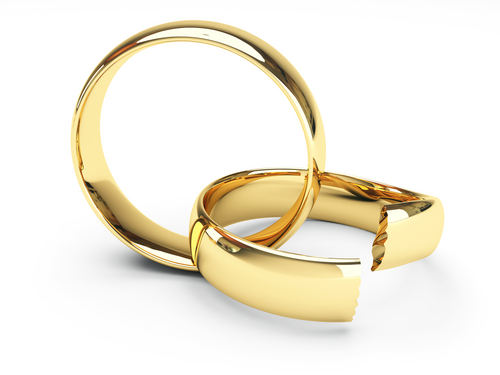 A divorce court’s goal when determining how these assets will be split among the former spouses is to do so evenly. The rules the court will use to determine fairness vary from state to state. A majority of states use an “equitable distribution” model. Equitable distribution divides the assets of a marriage based on an array of factors that include debts, parental responsibilities, and earning potential. Therefore, assets acquired during the marriage will not necessarily be evenly distributed. The other model, used by nine states, is “community property,” in which the division of assets begins at 50-50. The idea is that the each member of the marriage has an equal stake in all of the assets and debts acquired during its course. These are divided evenly, so if one spouse runs up a great deal of debt, the other person may have to pay a portion of it. The end of a marriage is always a difficult time for everyone involved, but having an understanding of how property division works can reduce the odds of further unpleasant surprises.